On March 12, 2019 – the breaking news from all the world surprised fans of Lori Loughlin and the other actress, Felicity Huffman, and at least 48 parents with their college admission scandals. With our humble silence, all the fans and I are very disappointed that our Hallmark’s “When Calls the Heart” fired Lori for the serious allegations. In fact, we respect our favorite Television Network, Hallmark, that made a good decision to cut ties with Lori. More than a million people have already made negative comments about these two celebrities with their daughters via YouTube and other social media outlets. You know, judging them is completely wrong. 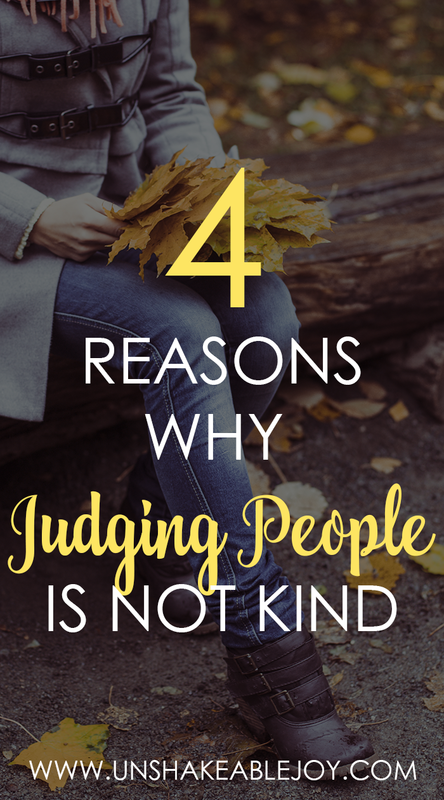 Now I am writing about 4 reasons why judging people is not kind. These reasons might help you to think carefully before taking your action by judging others. Insecurity. When a Christian becomes insecure or is unhappy with who she or he is, some attempt to make other people feel down because misery loves company. Even though it doesn’t usually make an individual learn when one puts others down, some Christians, as humans, do this often. Some want to feel tempted in reasons of causing others to feel bad. That’s how Satan tries to play out all our minds. Importantly, we pray that the Lord can help us to avoid judge others. “Do not be anxious about anything, but in every situation, by prayer and petition, with thanksgiving, present your requests to God” (Philippians 4:6, NIV). Fear. Since some Christians are scared or feel emptied by other people often, they would put them down. Christian students in High School get together and make fun of their leading band. Two female Christians see a beautiful woman as a huge target and they tease her character with a sour attitude. When Christians are scared, they attempt to feel great by judging others. Some Christians also may be scared when those who are different from them and may judge them just because they are not the same as all of us. “Then Jesus said to his disciples: “Therefore I tell you, do not worry about your life, what you will eat; or about your body, what you will wear” (Luke 12:22, NIV). Loneliness. When Christian is lonely, he or she might create judgments to connect with other people; however, these foolish connections are based on antagonism. The connections a Christian has based on judging others are empty and are not likely to consist of the true Christian Character. “Turn to me and be gracious to me, for I am lonely and afflicted” (Psalm 25:16, NIV). Ungrateful Attitudes. When Christians want their own lives to be incompatible, some are quick to judge the lives of others. For example, if someone wants to be CEO and his friend gets a promotion of being CEO, he might whisper, “Oh, that position is not right for him. I never understand why he’s getting a promotion.” If some Christians are jealous of others’ developing their blessed lives, we jump in to make quick judgments. “Do not conform to the pattern of this world, but be transformed by the renewing of your mind. Then you will be able to test and approve what God’s will is—his good, pleasing and perfect will” (Romans 12:2, NIV). Ask for forgiveness. If you feel like that you do not deserve this when you judge the other but you want to ask for forgiveness, you can ask the person you judge for forgiveness. Remember, forgiving is the most key to build your true Christian character. The Lord can forgive you when you ask the other to forgive. Ask the Lord to help you change to a truly gracious heart. When you repent your sin to the Lord, you will be forgiven and take your changes in progress through reading the Bible and going to Christian Fellowship. Make sure that you can control your own judgment before acting this way. So what other recommendation do you think about stop judging people? If your post is being featured, please grab the featured image below and add it on your post (or the sidebar). When is iHeart Verse link party? 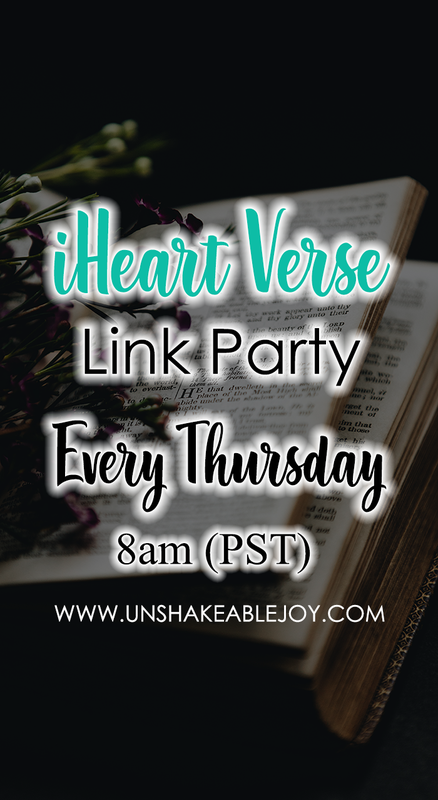 iHeart Verse link party will open on every Thursday at 8am (Pacific Time). Who will participate in this party? YOU! You are welcome to participate, but the important thing you need to do is to link up Christian or Faith-Based post. LSD, Mormon, or other religious posts are not allowed, please. 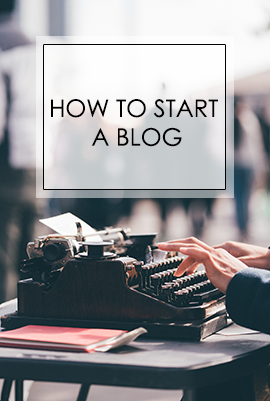 Add only 1-2 Christian blog posts. No LSD, Mormon, or other religious posts are allowed. Do not allow to link up any sale posts from your blog or sale posts that direct to Etsy, Ebay, or Amazon –Please do post only blog posts. Please visit at least 2 blog posts. Share or comment via the blog posts. Make new friends and get to know each other. Saying “Hi” would not be harmful. 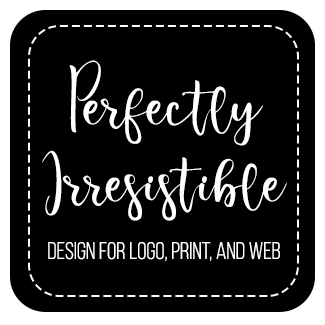 I’d love to see you adding my button to your sidebar! Please grab the button to help bring attention to this party. 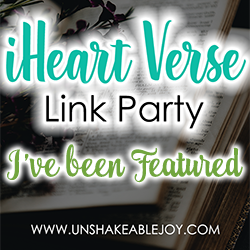 Feel free to add the button to your link party page, sidebar, or post! Wow! Your post really pierced my heart. I recognize now, that I have been a judgemental Christian. I did have to ask a friend for forgiveness because I felt inferior to her, and so I became judgemental of her. It really did hurt our friendship. Thank you so much for such an eye-opening post.